Welcome to the blog where we will try and keep you updated on the games. If you want to add a blog in send it to the nwwll.board@gmail.com and I will add it on! Fans keep your eyes open and add in some posts! Washington State University will be heading to Nationals this year because they WON regionals for the second year in a row! Great games were played in Pullman this weekend and WSU pulled out the victory. Below you will find their gofundme account so please help them out if you can! Help WSU go to Nationals! I can't believe it is almost time for lacrosse again! I am so excited to see the teams and start our fall season! We have some new teams this year which is awesome & some returning teams as well! So excited to see you all at the fall meetings! It is time for regionals again! Both D1 & D2 have regionals on April 16-17th! MVPs and Top Stat Holders will be announced before the game Sunday! MVPs and Top Stat Holders will be annouced between games on Sunday! Wow! I am so impressed by the NW after this weekend in Santa Barbara! We held our own against some very strong teams! All the teams played their hearts out and left it all on the field in extremely hot weather. Throughout the weekend I heard other teams talking about how impressed they were with the NW. Good job everyone! our only D2 team to attend the tournament and did a very good job! Western Washington University attacker Sarah Wyrick was the leading scorer in this game when she racked up seven goals and a few assists! Great job Sarah! Delia Dolan and Amanda Hultz both pulled off a hat trick while Hannah Gose and Amelia Chirichigno both scored twice. Gonzaga had a rough start but fought back in the second half with Kacie Waagbo taking her own hat trick. Emily Mincin had two goals and Claire Monsaas scoring once. Great job Gonzaga! University of Portland played a hard fought game against Western Washington University today, both teams leaving everything they had on the field. For the Vikings, rookie Amanda McKay was the top scorer with four goals. Behind her Amanda Hultz had a hat tricked a few assists. Nicole Durham had two goals herself while Sarah Wyrick had a goal and two yellow cards. Portland held their own in this aggressive game. Portland attacker number 21, Bianca Ramos pulled out her own hat trick and an assist while Katie Twineha, number 24 scored one too. It was a great game, definitely go check out the stats! New teams, Getting excited for the season! I just got back from the annual WCLA meeting and I am getting pretty excited for this upcoming season! We are going to have more games, more stats, more website content and more teams! We are adding a new team to D2, Portland State University. Also Montana State University is going to have more games this year! Probably the BEST part of the meeting though is that NWWLL got their National bids back for D1 & D2 meaning that our regional champs will be going to Nationals this year!! The location is TBD but it should be a great time! We had a great season this year and I can not wait for next year when we plan to have our AQs back for both D1 & D2! 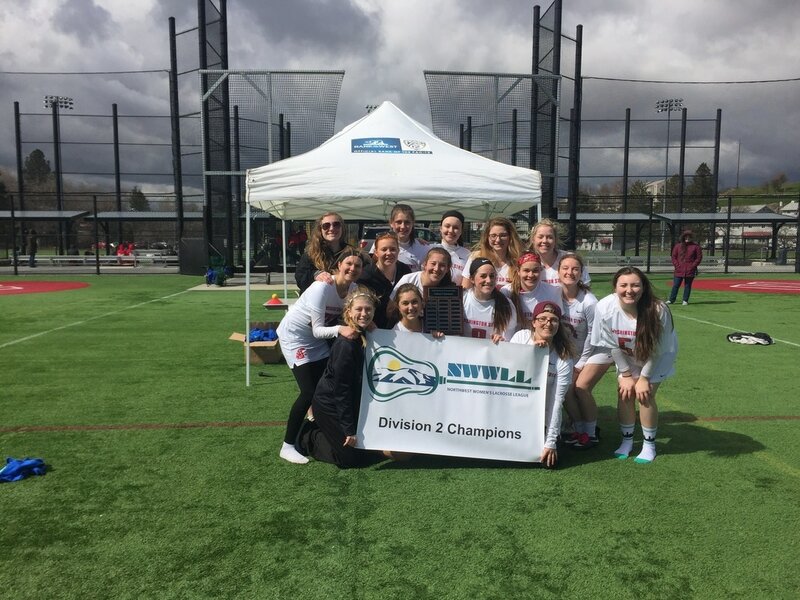 University of Montana won regionals for D2 and Western Washington University claimed the title for D1, congrats! As for nationals, this year University of Michigan had a great season and won D1, Duke remained undefeated to take the D2 title!